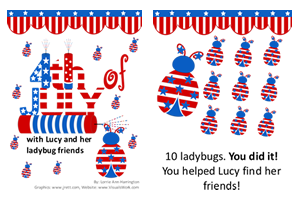 4th of July with Lucy and her Ladybug Friends is a â€œprintableâ€ book created by Lorrie Ann Harrington that focuses on building language and early literacy skills. With simple sentences and a repetitive theme (e.g. â€œDo you see Lucyâ€™s ladybug friendâ€¦. ?â€), it can be used to help teach children to recognize and use location words in addition to 4th of July vocabulary. Use it to encourage active participation, promote commenting, and strengthen the learning by asking your child or learner â€œWHâ€ questions such as â€œWhere?â€, â€œWho?â€, and â€œWhat?â€ (e.g. â€œWhere is Lucyâ€™s ladybug friend?â€, â€œWho has a firework?â€, â€œWhat is Lucy doing?â€, etc. ).Also included for download is the graphic and text used on the â€œ1 childâ€ page. 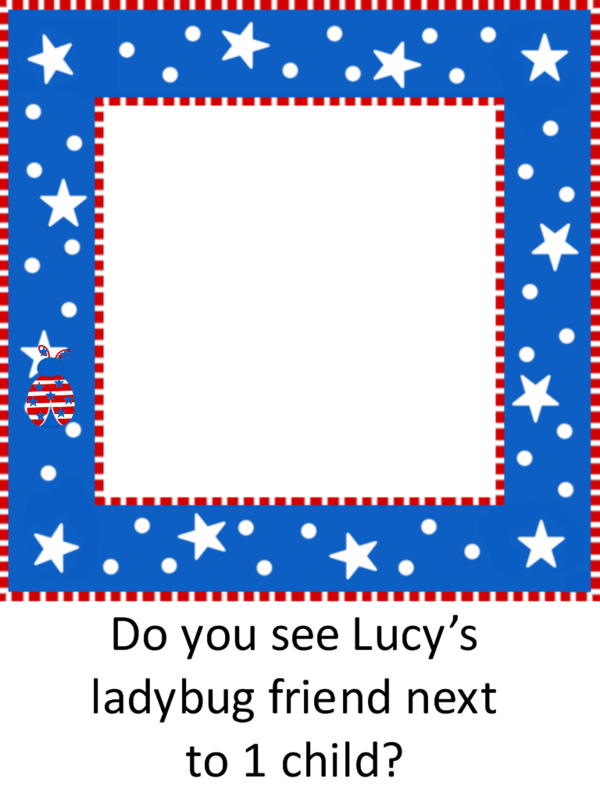 Â This additional download can be used to personalize 4th of July with Lucy and her Ladybug Friends for your child or student.